During the Norman conquest by William, his half-brother Odo, also Arlette’s son, was Bishop of Bayeux. Historians believe that the Bayeux Tapestry was commissioned by Odo to adorn his new cathedral, which was consecrated in 1077. 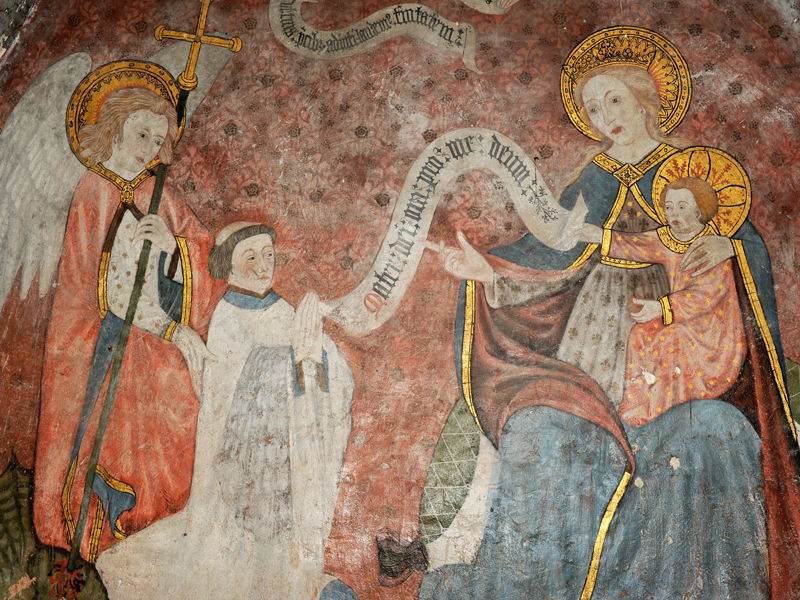 The Tapestry was displayed there once yearly and illustrated Harold’s ill fate to the cathedral’s faithful community. During its consecration, all of the Dukedom of Normandy and the Kingdom of England’s most eminent dignitaries were present alongside Lanfranc, the Men’s Abbey’s very first abbot, who was to become Archbishop of Canterbury. The Notre-Dame Cathedral in Bayeux is located on the vestiges of a forum dating back to the Gallo-Roman period, itself built on Merovingian ruins. The present-day cathedral was consecrated on the 14th of July 1077, in the presence of William the Conqueror and Matilda of Flanders. At the time, it housed the Bayeux Tapestry. 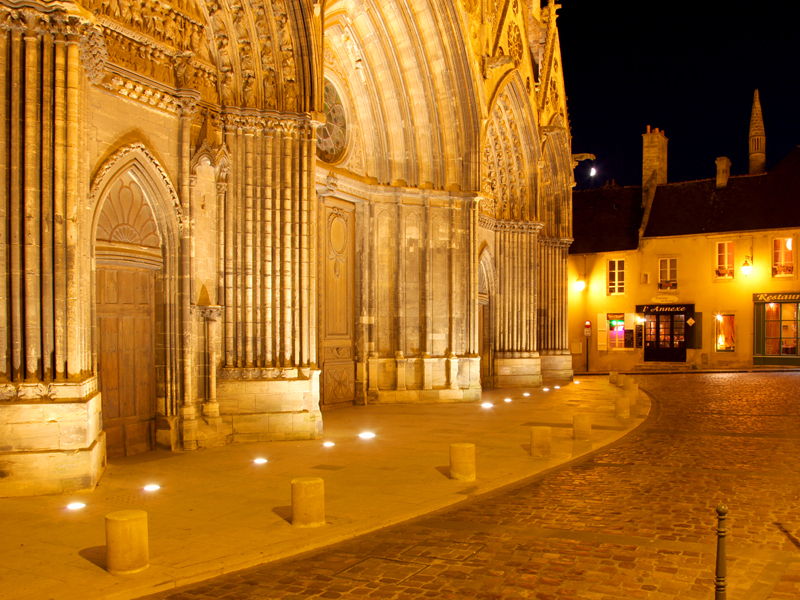 Bayeux Cathedral is of Romanesque and Norman Gothic style. It is a listed Historic Monument since 1862. 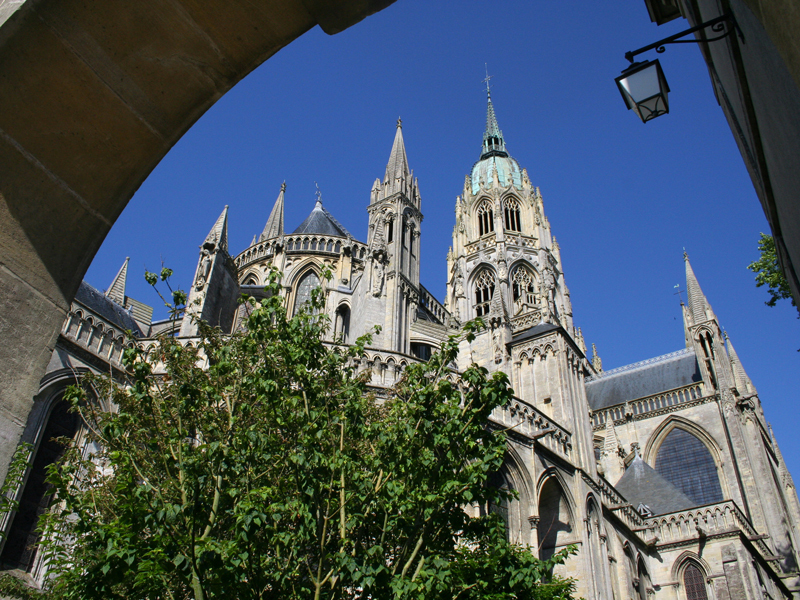 We owe the cathedral to Hugh II of Bayeux, who ordered its construction after a fire had destroyed the former church. However, it was Odo of Conteville, better known as Odo of Bayeux, who completed it. Odo of Bayeux was William the Conqueror’s half-brother. As well as being Bishop of Bayeux, Odo was also the Earl of Kent. The cathedral’s architecture reunites both Norman and Romanesque styles. Today, the crypt and the western facade towers are the only features dating back to the Romanesque period. The 9th century crypt is quite remarkable. Its pillars and columns are adorned with paintings, some of which date back to the 15th century. Located in the choir, this crypt was walled up for centuries and even fell into oblivion. It was rediscovered in 1412, during work to hollow out a grave for the Bishop Jean de Boissey. Work on the cathedral’s Gothic architecture began in 1180. The Bayeux Cathedral we know today is very different to the one that stood in William the Conqueror’s time, its Gothic architectural features only being completed in 1700. However, a number of fires, pillaging, the Huguenot rebellions, the French Revolution and even lightning were to damage the edifice and its objets d’art. 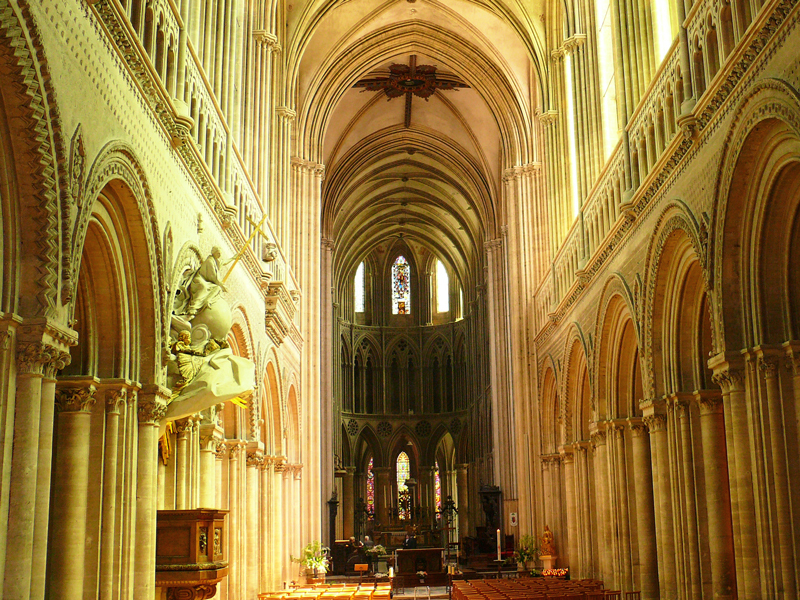 The Notre-Dame Cathedral of Bayeux benefited from restoration work in 1851. The Notre-Dame Cathedral in Bayeux is now open to visitors. Guided tours are regularly organised, in particular during school holidays.